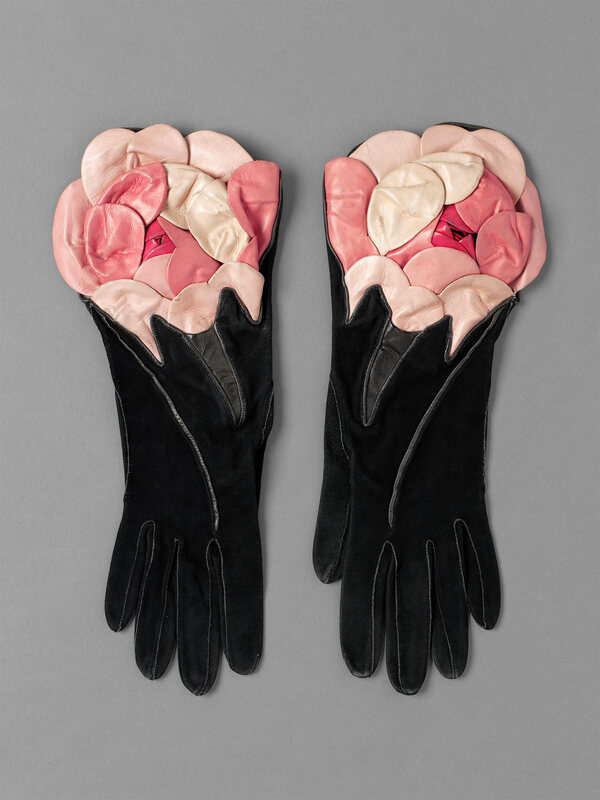 These gloves date from a time when they were considered essential accessories to an outfit, worn not necessarily for warmth but to signify the state of being correctly dressed. Short, pale coloured gloves could even be seen teamed with sleeveless summer dresses in contemporary women’s magazines. A few years later, the casual fashions of the ‘Swinging Sixties’ undermined these dress codes, regulating gloves to practical winter and ultra formal wear, although the influential couturier André Courrèges included short white gloves as integral elements of his space age collections in the mid 1960s. 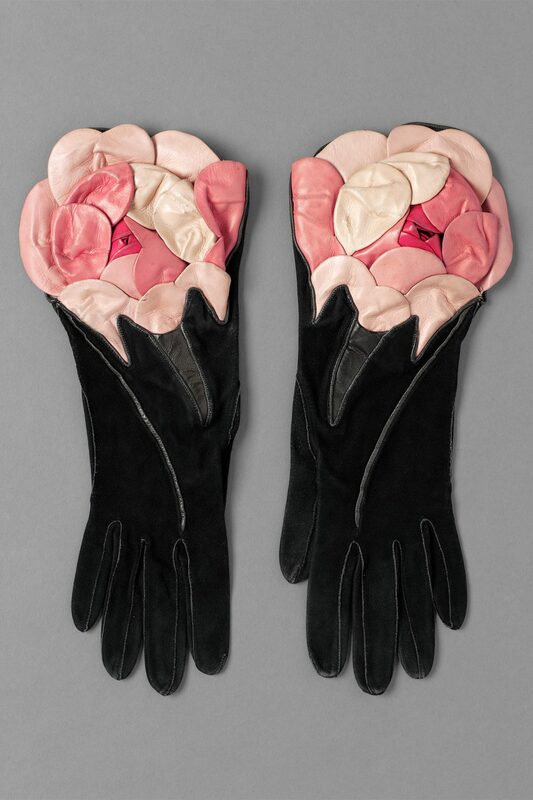 Around 1960, the sleeves of coats and jackets were often shorter than full length, which would have given prominence to the opulent pink roses decorating the wrists of these gloves. Large roses were seen everywhere, printed on the cottons of summer clothes (see Related Items) and the silks of evening gowns, and recreated in three-dimensional fabric form covering large brimless hats.